Sunpak DigiFlash 3000 Electronic Flash Unit (DF3000C). (for Canon EOS E-TTL II). Point & Shoot. EOS 60DEOS 70DEOS 77DEOS 80DEOS 1D XEOS 1D X Mark IIEOS 5D Mark IIEOS 5D Mark IIIEOS 5D Mark IVEOS 5DsEOS 5Ds REOS 6DEOS 7DEOS 7D Mark II. Vintage Canon Rangefinder Camera Flash Unit Model B-II Original Case As Pictured. Condition is Used. Shipped with USPS Priority Mail. In good, used, working shape. CANON 5247B002 SPEEDLIGHT 270EX II FLASH. Breathe life into the photographs of special events using the Canon Speedlite 430EZ flash. Moreover, the LCD panels located at the back of this Canon Shoe Mount flash keep you updated on the device status. Canon RF Model V Flash Unit 5 Bulb Flash For Rangefinder Cameras w/Leather Case. Condition is Used. Shipped with USPS First Class Package. Vintage Canon Camera Electronic Flash Unit Speedlite No. 244T Tested! 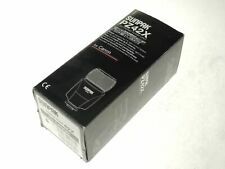 This sale is for a Canon SPEEDLITE 244T Electronic Flash Unit in excellent condition! The flash was tested and works great! It uses 2 AA Batteries. 4.5 out of 5 stars - Vintage Canon Camera Electronic Flash Unit Speedlite No. 244T Tested! 17 product ratings17 product ratings - Vintage Canon Camera Electronic Flash Unit Speedlite No. 244T Tested! • Canon Speedlite 300EZ (#SCO104). Trending at $12.95eBay determines this price through a machine learned model of the product's sale prices within the last 90 days. The flash stand show in the picture is not included. Auctiva's FREE Counter. it is in Used conditions ,and in in working Order. You are purchasing EXACTLY what you see in the pictures! Glass/Optic: None. 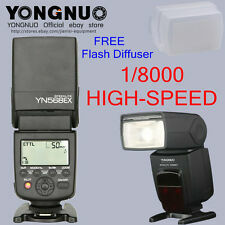 Being offered here is a SUNPAK DigiFlash 3000 flash unit for Canon DSLR cameras. In excellent condition. Batteries not included. 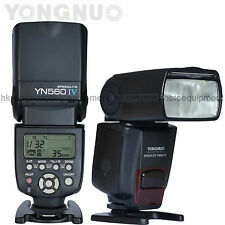 Compatible with Canon E-TTL / E-TTL II Guide Number: 92' at ISO 100 and 85mm Zoom Range: 28-85mm Tilts Upward 90° Rotates Left 120° & Right 180° AF Assist Light Recycle Time: 0.5-7 Seconds Dimensions: 3.35 x 5.12 x 7.87 inches Weight: 7.8 oz. This is a Canon J-3 Flash unit. This unit is untested. Listed here is the Canon Speedlite 199a flash unit pictured. Usually a lot sooner. I do my best to get everything out as quick as possible. in good condition, with case. make Supersized seem small. Sunpak Digiflash 3000. Tested working! Great condition - refer to photos. This flash is not battery/bulb tested. best of our ability, checked and. Vintage Canon Speedlite 102 flash unit kit for Canon Nikon or Pentax camera. Condition is Used. Shipped with USPS Priority Mail. Vintage - Canon BULB FAN FLASH UNIT As Found. Condition is Used. Shipped with USPS First Class Package. Canon Flash Units (Bulb Style) Set Of Three. Canon Flash Unit Model III with case and instructions. Canon Flash Unit B4 with case. Canon Flash Unit Model V with case and instructions. Flash units are in excellent condition. And Just Strange and Weird Stuff !! Flash is in near mint condition. works fine. If its not in the Pictures its not included. Canon 430EX Flash. This flash is an. Excellent Condition US Flash. It has been tested - and it functions flawlessly. Included are the flash unit and original case. Fully functional and well synced with the shutter release. Flash ONLY. This Canon AB-56 flash unit is in working condition. The flash takes four AA batteries. The batteries are not included. In original box with all paperwork, has never been used. Has been tested and works. Box a little worn. Great flash. In excellent working order and ready to use. If we make a mistake we will try to resolve it quickly. It has the shoe mount. Canon Speedlite 420 EZ Electronic SLR Camera Flash Unit. Good condition. Condition is Used. Shipped with USPS Priority Mail. Flash will bounce off the ceiling. We've got them to fit these models:Canon AE-1, AE-1 Program, A-1, AV-1, T-50, T-70, T-80, T-90. Automatically sets both lens opening and shutter speed. STICKY RESIDUE AROUND FLASH BASE . IN GOOD CONDITION~. SEE PHOTOS. HAS SUPERFICIAL SCRATCHES . CANON 200E FLASH. THIS IS AN (EXCELLENT) CANON 200E SPEEDLIGHT. FLASH HAS BEEN TESTED AND IS WORKING WELL. FLASH TAKES 4 AA BATTERIES. BATTERIES ARE NOT INCLUDED. You are purchasing a Vintage Canon Rangefinder Camera Flash Unit Model B-II w/ Original Case Manual. Have a look at the photos for a detailed description of exactly what you’ll be receiving. We recently purchased a large estate and included was a large collection of vintage camera equipment. Feel free to shop our store, as new listings will be added daily. Thank you very much for shopping with us! Works great in excellent condition.